Domestic and international visitors to Nha Trang, one of Vietnam’s most popular tourist destinations, often enjoy "eco-tourism" trips to Monkey Island and Orchid Island. 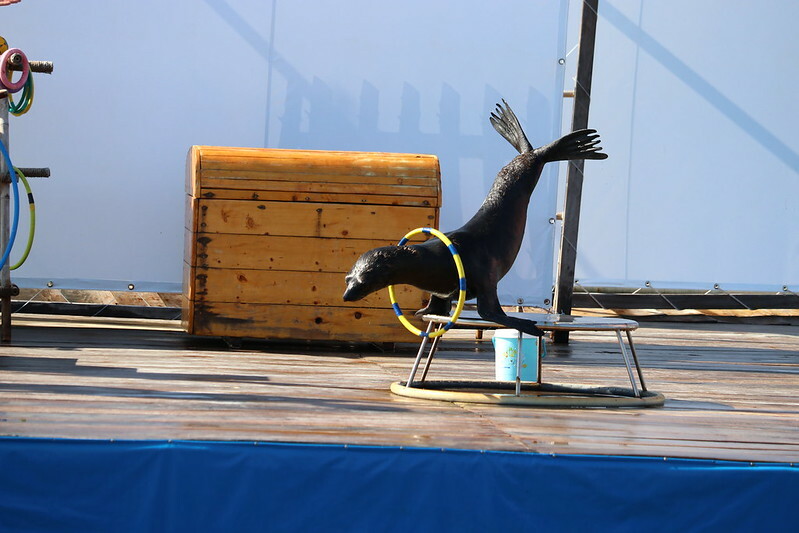 But Animals Asia’s investigations of these facilities have proven that they force protected species such as moon bears, macaques and elephants to perform unnatural tricks for entertainment. The tourists also ride elephants and ostriches or watch sea lions do one-finned press-ups. 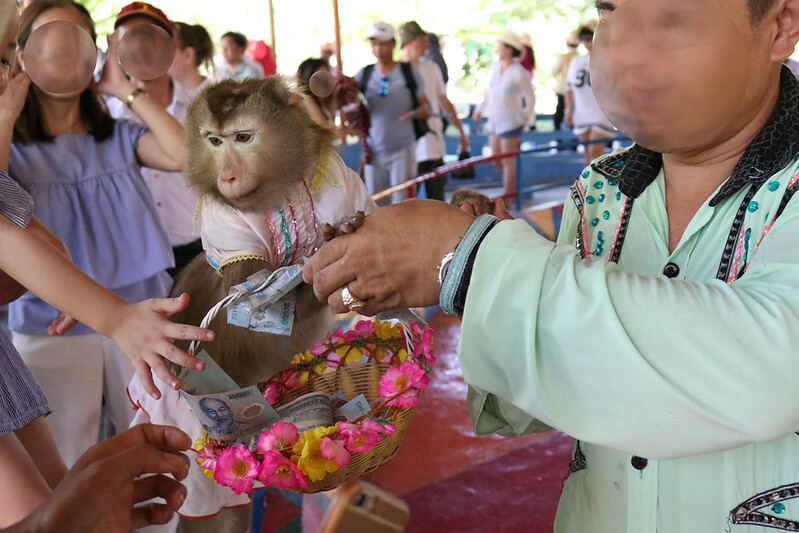 Long Phu, the company behind these facilities, focuses their business operations on tourism and entertainment, but at their heart is animal cruelty and suspected wildlife crime. In fact, the company’s history goes back well over a quarter of a century, but at every stage – through every name change, merger and strategic rethink – animal cruelty has remained fundamental. In 1984, the company that would become Long Phu was founded. It was known as Phu Khanh Monkey Farm and was set up by the USSR and Vietnam to raise monkeys for animal testing. After just one year, the name was changed to Company 18/4, but the cruel business model remained the same. With the collapse of the Soviet Union, the company lost its entire market and capital funding. In 1993, the company shifted to producing monkey bone – a type of traditional medicine – for the domestic market, raising 5,000 animals at a time in cages. Monkey bone is believed to help alleviate decreased appetite, arthritis, and even tuberculosis as well as boosting fertility. However, with no export market the business floundered, prompting Company 18/4 to move all the monkeys to Hon Lao and Hon Thi islands off the coast of Nha Trang to reduce costs. Around this time, curious visitors began to make their way to the island on day trips to see its huge population of monkeys, and in 1997, Company 18/4 added tourism to its business model. The new industry proved so successful that in 2001, Company 18/4 was merged with another state-run company to form Long Phu Tourism Company. Today, Long Phu claims to specialise in “eco-tourism”, but in reality its activities are neither responsible, educational or beneficial to the environment. Firstly, with as many as 300,000 visitors a year, theirs is a mass tourism model, not a low impact one. Many of the species they force to perform are protected from exploitation under Vietnamese law, yet they remain on stage. There are also questions to be answered about the origin of the protected species. Juvenile moon bears are typically seen on stage, but bile farmers in the country have tried to breed bears for years with no success. So where are the young animals coming from? Visitors to Long Phu’s facilities are not educated about the wildlife they see performing. In fact, tourists are presented with entirely false representations of the animals’ natural habitats, welfare needs and behaviour. In Long Phu’s version of “eco-tourism”, everybody loses. Animals are held in utterly unsuitable conditions and forced to perform meaningless tricks while tourists are misled about the amazing animals they see. If this charade is allowed to continue, what kind of natural heritage will be left for Vietnam’s next generation? Add your voice to the chorus calling for change. 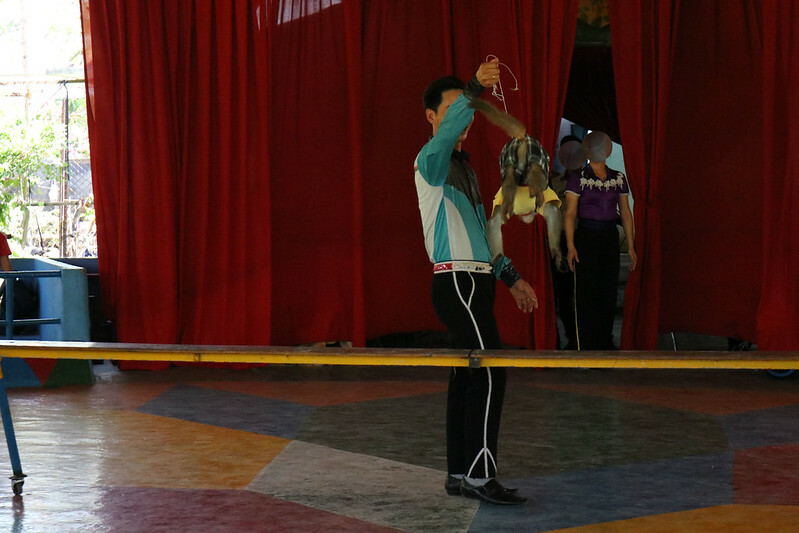 Sign the petition asking the Vietnam government to end cruelty and wildlife crime by banning wild animal performances, and allowing the animals to be sent to sanctuaries and rescue centres.